Diversifying away from the index is a significant challenge for many investors. The recent dominance of just a few industries means that many portfolios lack true diversification, exposing them to economic downtrends. 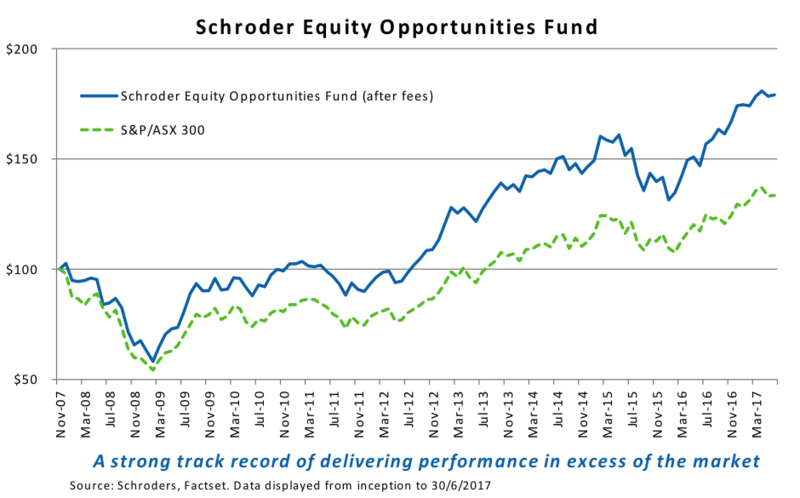 Andrew Fleming, deputy Head of Australian Equities at Schroders, says it is time to think differently about investing. “Risk emerges where you least expect it, and probably when you’re most complacent. The fact that the environment has been quite strong for the last couple of decades, shouldn't be mistaken for complacency about what's likely to emerge in the future.” The Schroder Equity Opportunities Fund seeks to overcome these risks by investing in a portfolio of companies based on the value of their future earnings and not due to their weighting in an arbitrary index. Click here for more information.